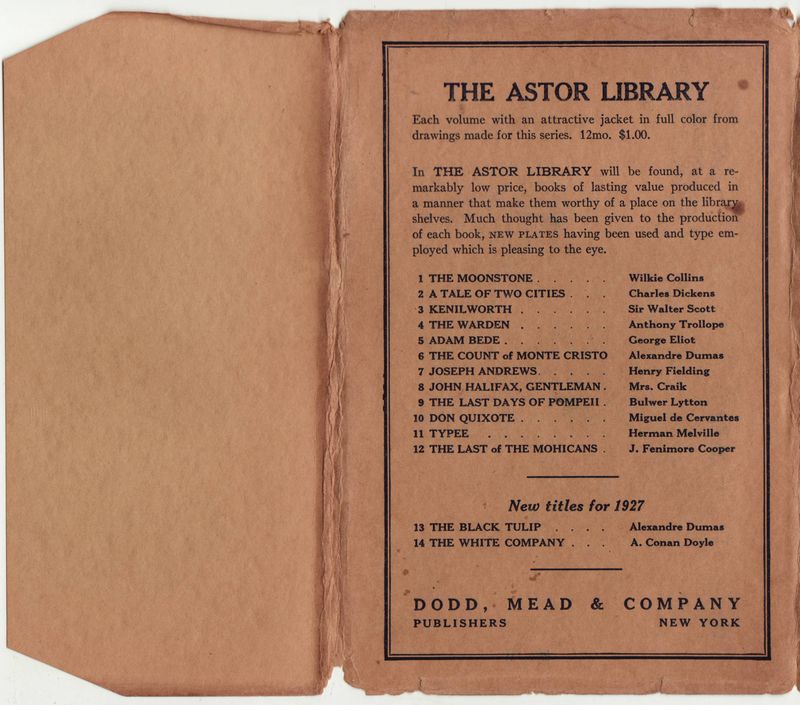 The Astor Library, like the English Masterpieces series, is a recycled series: a publisher (in this case, Dodd Mead) marketing a series (the Astor Library) consisting of books from a defunct series (Dial Standard Library). The Dial Standard Library, printed along with its sister series called Harrap’s Standard Fiction Library in the UK, was never issued in the US, but instead transferred from the Dial Press to another US publisher (Dodd Mead). Dodd Mead simply added new jackets to the Dial Press books, printed by Harrap in England, and a new series was born. The Dial Press was established in 1923 by Lincoln MacVeagh whose name is typically included on the imprint until he left the firm in 1933. The Dial Press issued The Bourbon Classics, The Dial Detective Library, the Fireside Library, the Golden Dragon Library, the Library of Living Classics and the Rogue’s Library in the short time MacVeagh ran the press. Many were series shared with UK publishers, and none reached more than a dozen titles. The series was published in the UK as Harrap’s Standard Fiction Library, which reached 39 titles. The Astor Library consists of the first 12 titles from Harrap’s UK series, with an additional two titles (not in Harrap’s series) added by Dodd Mead in 1927. The issue is complicated as Dodd Mead was first selling the books as the Astor Library but with the Dial Press imprint in 1925 or 1926. With no indication of the series name on or in the book itself, the jackets are required to distinguish between the series. Copies of all of the first 12 books in the Astor Library can be found on WorldCat with the Dial Press imprint. 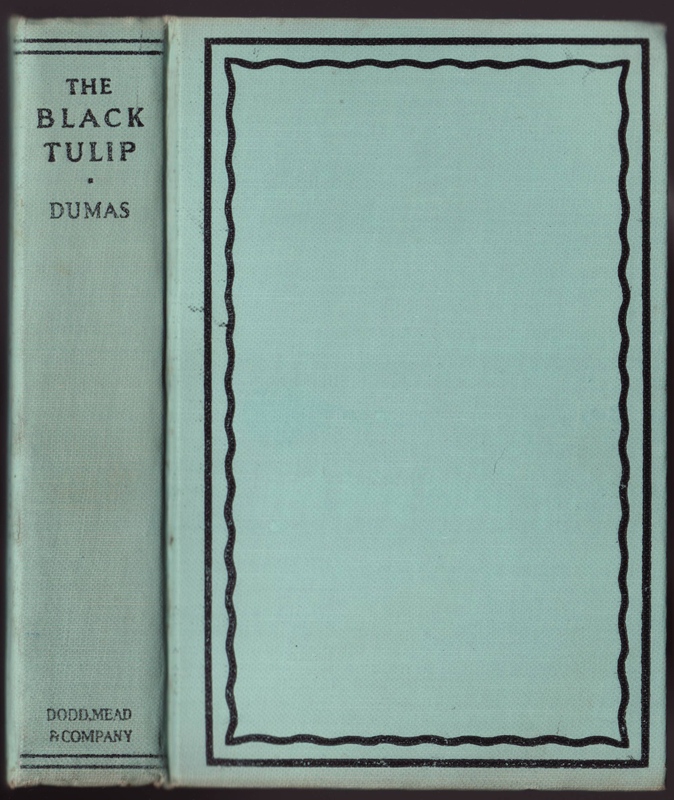 Two additional titles have the Dodd Mead imprint (Dumas’ The Black Tulip, with a 1927 date and Dodd Mead imprint on the title page – see below, and A. Conan Doyle’s The White Company). Neither of these, as said earlier, was in the UK series. Thus Dodd Mead was selling Dial Press books with Dodd Mead jackets, and added two additional titles to the series (for a total of 14). Further complicating the issue is the fact that Lincoln Macveagh was an early innovator in having other publishers stock and sell his books: “…in later years, MacVeagh made an agreement with Dodd, Mead to carry his books in stock and handle sales and billing.” (History of Book Publishing in the US, vol. 3). It’s possible that the Astor Library was an example of this. However, The Booklist in 1927 indicates in its list of reprints “Astor Library (Formerly Dial Standard Library)” and in 1931 “Dial Standard Library (see Astor Library).” Another source (What books shall I read? 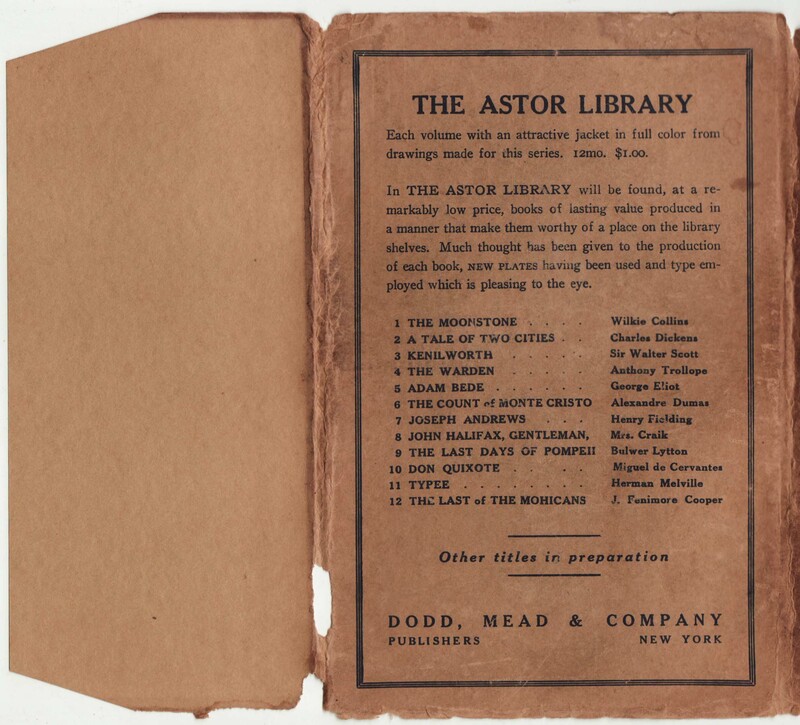 by Simnet & Drury, 1933) also indicates “Astor Library (formerly Dial Standard Library)” and the Replacement List of Fiction (1933) includes Astor Library as a Dodd, Mead series. If Dial did issue the Dial Standard Library, it was only for a short time. No advertisements (by Dial or Dodd Mead) in contemporary sources have been found. Lincoln MacVeagh and the Dial Press issued some books with a London imprint beginning in 1927. Astor Library titles indicate “Printed in Great Britain.” Thus it seems that Harrap printed the first 12 copies of both its Standard Fiction Library and what was supposed to be the Dial Standard Library in 1925. The Dial copies were shipped to the US, probably never marketed by Dial, but picked up and rejacketed by Dodd Mead. Confusing! 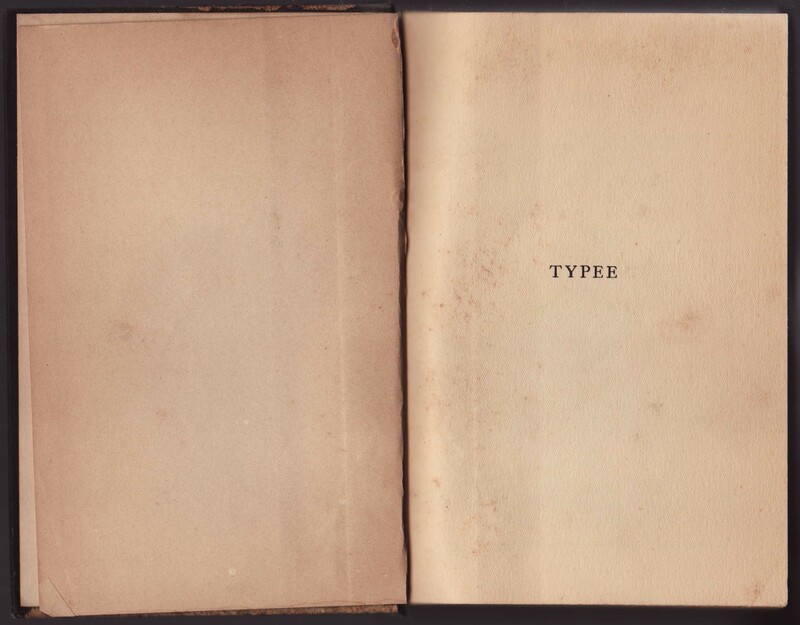 One other curious detail is that McKay of Philadelphia published a copy of Typee, shown below in the Astor Library, with the same number of pages and size, in the late 1920s. This title was in McKay’s young adult Newbery Classics series. Both these series may have been printed from the same (British) plates used by Harrap and Dial (then Dodd Mead). 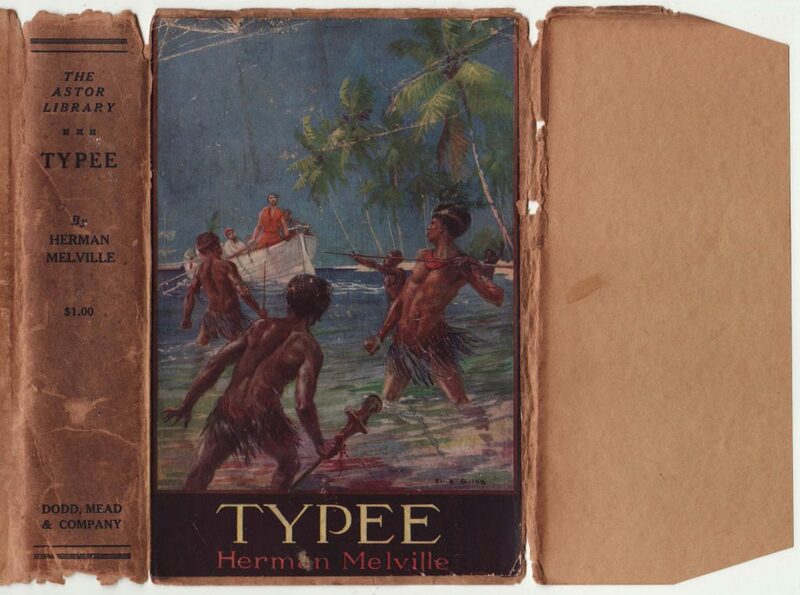 This copy of Melville’s Typee is undated but probably 1927. Astor Library jackets are unique to each title, with an illustration, in this case by London illustrator Ellis Silas, on the front of the jacket. The illustrations are glued to the front of the jackets. The Harrap jackets, which share the same illustrations, are printed. My guess is that Harrap arranged to print jackets as well as print and bind books in the Dial Standard Library in the UK. When the books and jackets were transferred to Dodd Mead, they cut the illustrations from the jackets and glued them on the blank front of the Dodd Mead jackets. Waste not, want not, I guess. The jacket spines include the Astor Library name at the top and the price ($1.00). Dodd Mead is the publisher according to the jacket spine. The front jacket flap is blank. The jacket is made of heavy kraft paper. The rear of the jacket advertises the series and its 12 titles. The full-color jacket is noted along with the book size (12mo) and price ($1). The series, like many other of its ilk, is advertised as a remarkable value for the price. The claim of “NEW PLATES” is also made. Twelve titles are listed, with the claim of “Other titles in preparation.” Two more titles would be issued in 1927. Beyond the jacket, we have a Dial Press production with no indication of Dodd Mead nor a series name. Books are basic black cloth with red decorations and typography. Lincoln MacVeagh The Dial press is indicated at the base of the spine. The minimalist half-title page. There is no series name here, as there is on the Harrap series. The title page includes the Dial Press colophon and its New York imprint. None of the books in this series seem to have dates. “Printed in Great Britain” is noted at the bottom of the book. 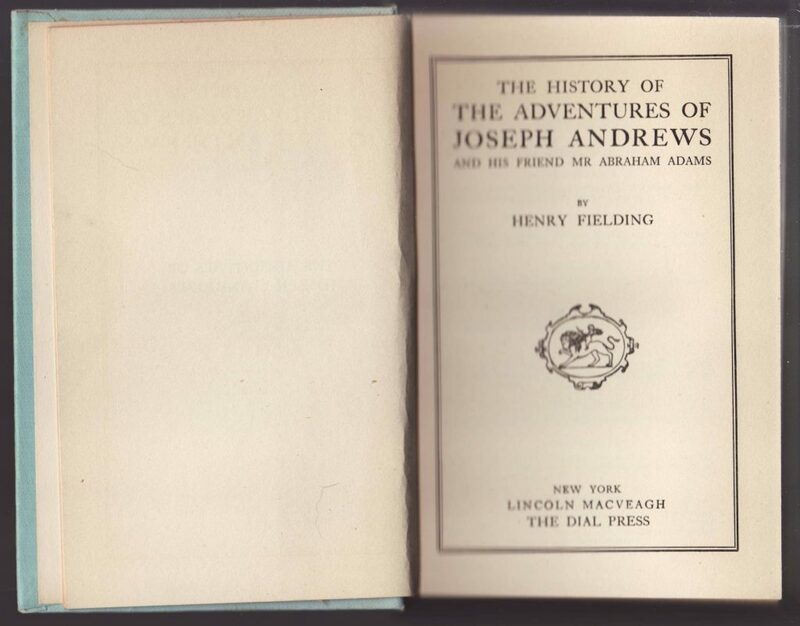 A second (also undated) Astor Library jacket, this one Henry Fielding’s Joseph Andrews, is similar to the Typee title: a glued-on illustration on the front of a jacket that, besides the different title and author on the jacket spine is identical. The UK version of the series, Harrap’s Standard Fiction Library, used the same jacket illustration. This book is from 1926, the first printing in the UK series being 1925. 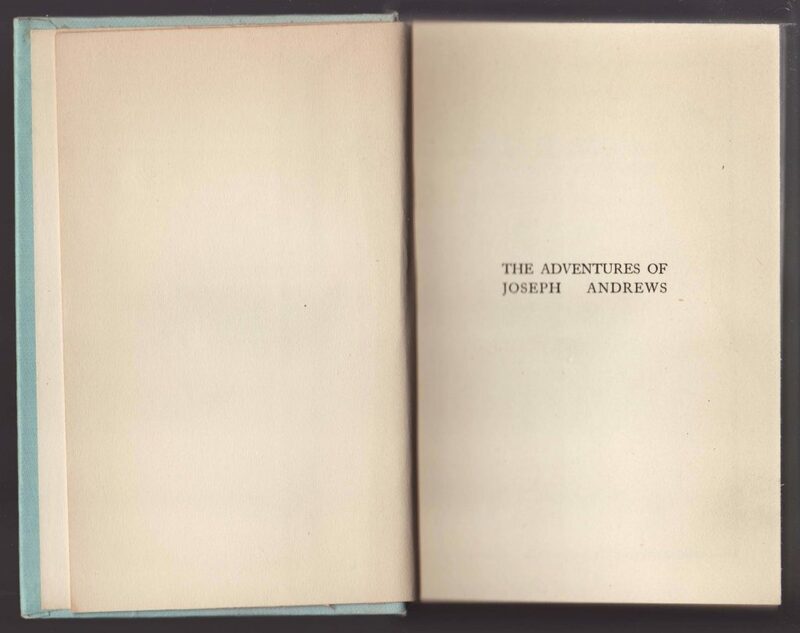 The binding of the Joseph Andrews title differs from the Typee title in that Dodd Mead is the imprint on the book spine (rather than the Dial Press). The binding color (pale blue) is different from Typee, and the cover includes an additional wavy frame within the black box on the front of the book. 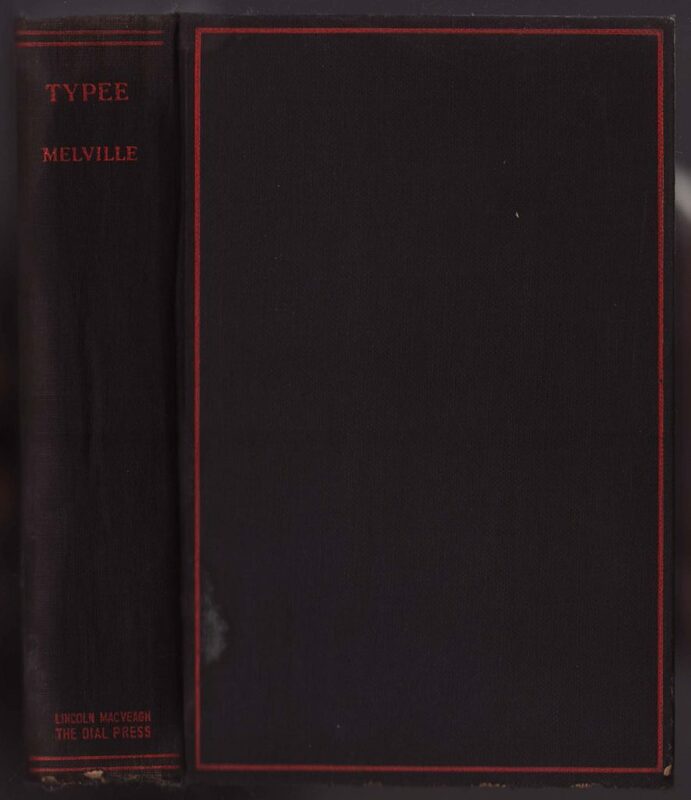 It seems that the Dial Press bound some books intended for the Dial Standard Library (such as Typee) and left others unbound – as this copy of Joseph Andrews retains the Dial Press imprint on the title page (see below). …and the “Printed in Great Britain” indication on the copyright page. A third book from the Astor Library series is a copy is a Dodd, Mead production (and not a recycled Dial Press book). 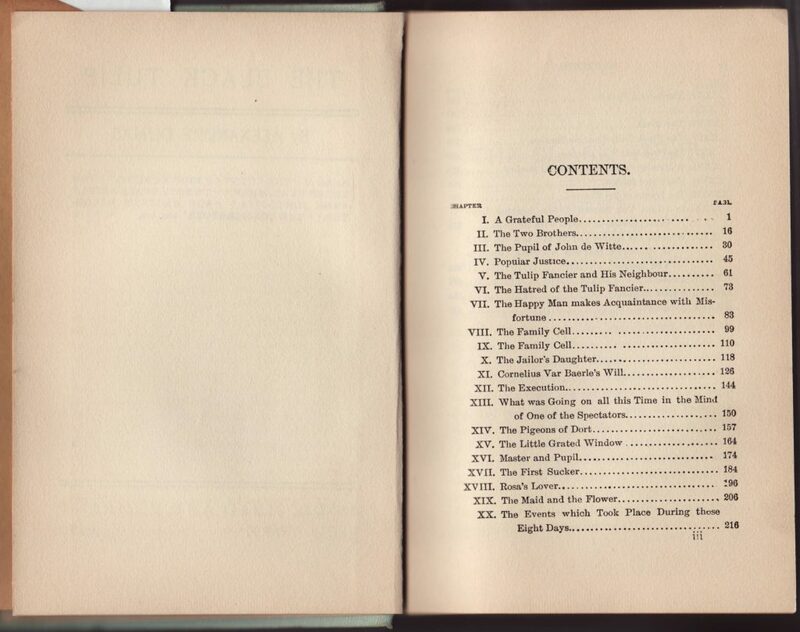 This book is a 13th title for the series that, unlike the two copies above (#11 and #7) has a Dodd, Mead imprint on the title page. 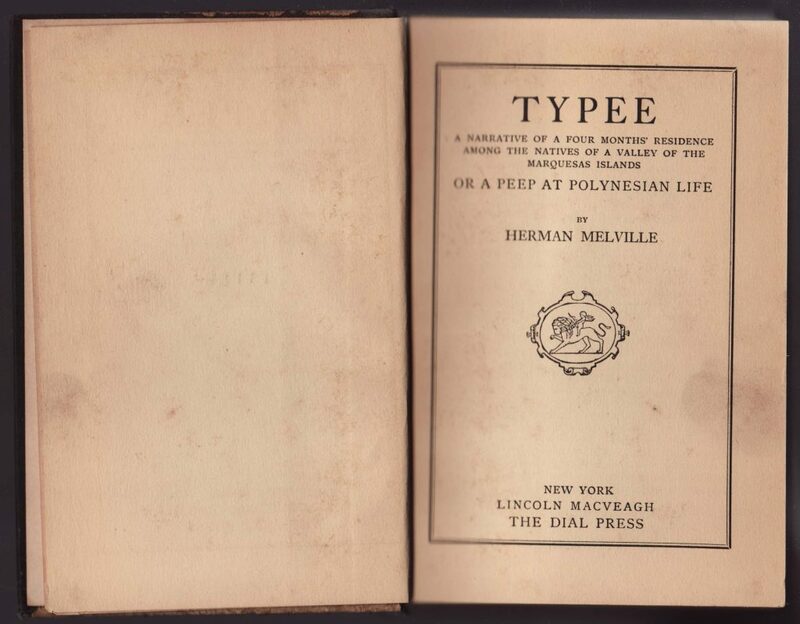 As said, this title and one by Conan-Doyle were issued by Dodd Mead in 1927. 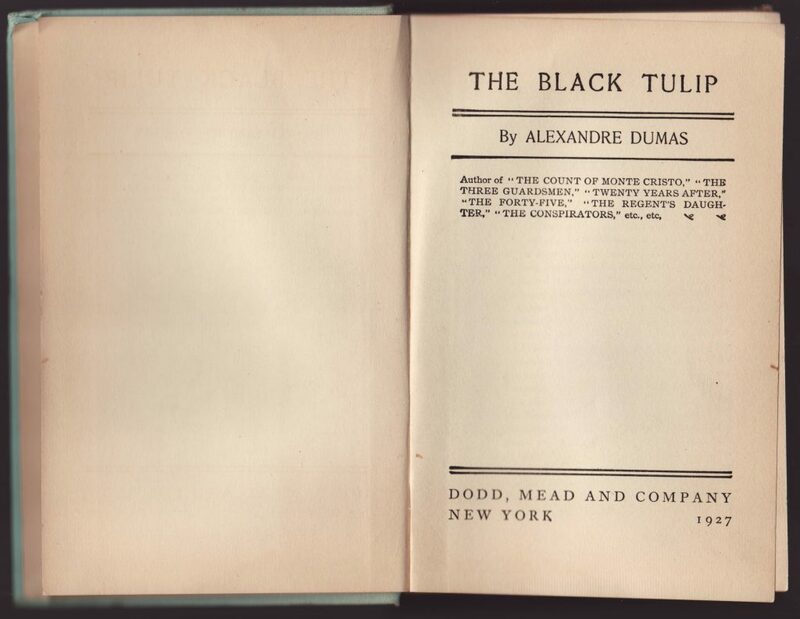 This copy of Dumas’ The Black Tulip is also, unlike the first 12 Dodd Mead titles, dated (1927) on the dust jacket and in the book. Also unlike the other jackets, there is no illustration on the front of the jacket. Dodd Mead didn’t have the illustrated jackets from the defunct Dial Standard Library to cut and paste on their Astor Library jackets as this and the Conan Doyle titles were not in the Harrap UK version of the series. So the front of the jacket is just left blank with nothing glued in place. This suggests the series was failing, and Dodd Mead had no intention of sinking money into color illustrations for the covers. The blank front flap remains. The price of $1, as well as the series name, is included on the jacket spine. 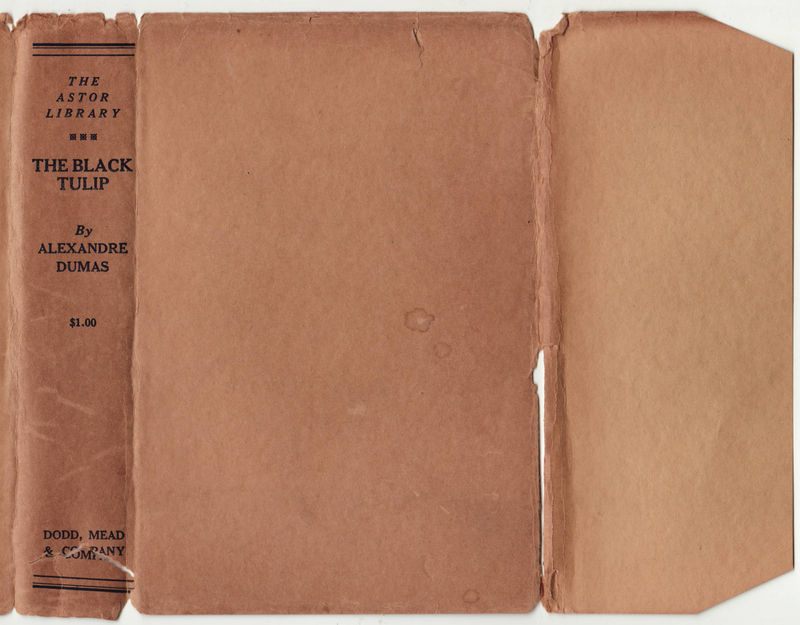 The rear of the jacket is the same as earlier copies but has been updated with two additional series titles: The Black Tulip and The White Company by A. Conan Doyle. Both are “New titles for 1927.” I’m guessing that the first 12 titles were issued together in 1925. 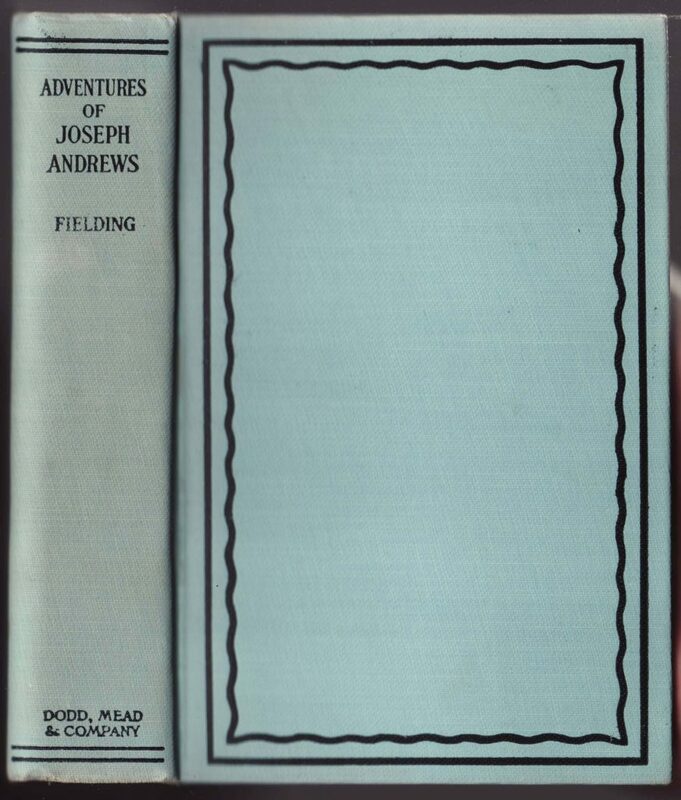 The binding with the Dodd, Mead imprint is similar to that of the Fielding title above. 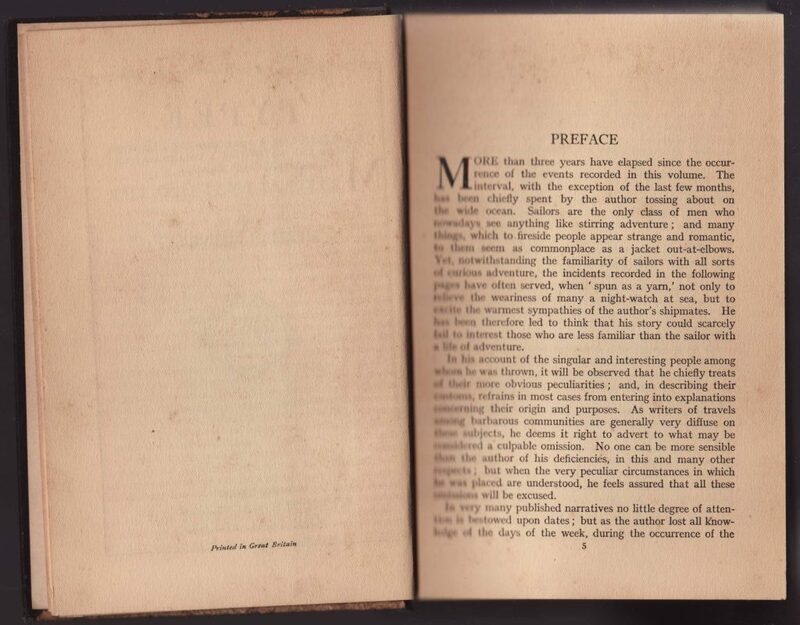 The book does not include a half-title page (the copies above both do). The Dodd, Mead imprint is on the title page, along with the date, unlike the previous two copies shown above. 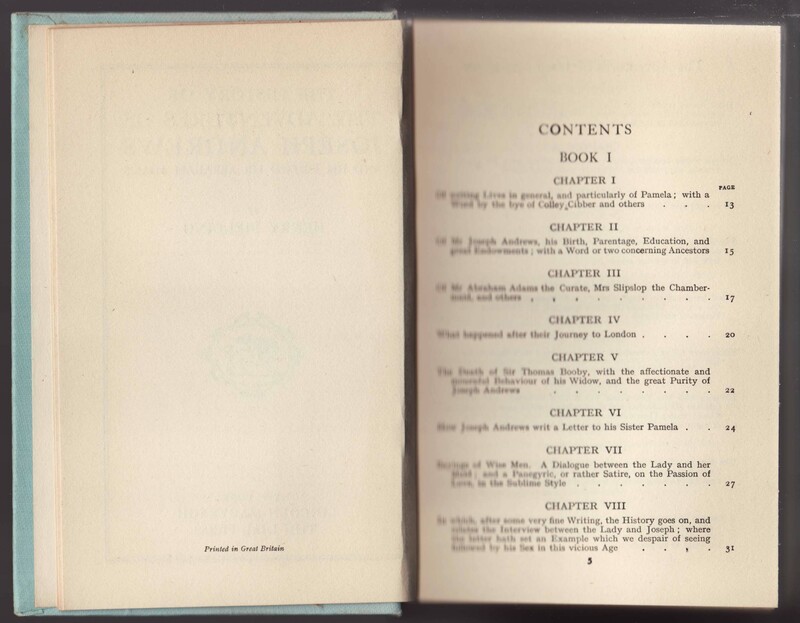 There is nothing on the copyright page; both copies above indicate “Printed in Great Britain.” These last two Astor Library titles were likely printed in the US.